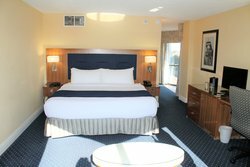 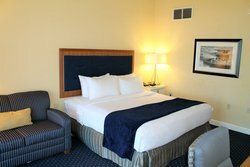 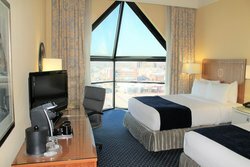 Take a tour of the Hampton Marina Hotel throughout our photo gallery! 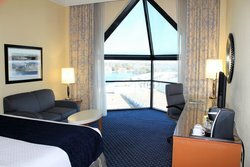 After a glorious night’s sleep in one of our nautical themed rooms and suites, awaken to a view of the shimmering waters and gentle breeze off the Hampton River. 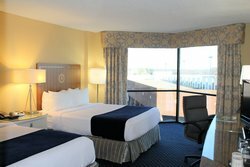 Our modern hotel offers everything traveling guests need to recharge, with amenities such as a 24-hour fitness center, seasonal outdoor pool, and property-wide complimentary Wi-Fi. 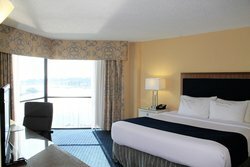 Dine at our on-site restaurant, the Regatta Grille, or enjoy your meal via room service, upon request. 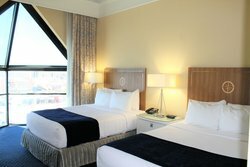 Additionally, with just the touch of a button, you can connect to our 24-hour guest service. 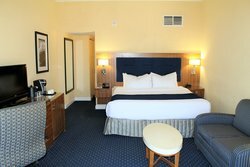 We have friendly staff readily available at all hours to assist you with any of your reservation needs or with planning your event in one of our ballrooms and boardrooms.